In this New York Times bestseller, Janice Kaplan spends a year living gratefully and transforms her marriage, family life, work and health. Her pioneering reseach was praised in People and Vanity Fair and hailed on TV shows including Today, The O'Reilly Factor, and CBS's The Talk. On New Year's Eve, journalist and former Parade Editor-in-Chief Janice Kaplan makes a promise to be grateful and look on the bright side of whatever happens. She realizes that how she feels over the next months will have less to do with the events that occur than her own attitude and perspective. Getting advice at every turn from psychologists, academics, doctors, and philosophers, she brings readers on a smart and witty journey to discover the value of appreciating what you have. 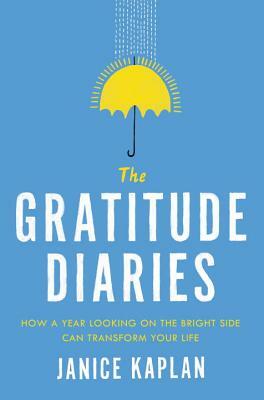 Relying on both amusing personal experiences and extensive research, Kaplan explores how gratitude can transform every aspect of life including marriage and friendship, money and ambition, and health and fitness. She learns how appreciating your spouse changes the neurons of your brain and why saying thanks helps CEOs succeed. Through extensive interviews with experts and lively conversations with real people including celebrities like Matt Damon, Daniel Craig, and Jerry Seinfeld, Kaplan discovers the role of gratitude in everything from our sense of fulfillment to our children's happiness. With warmth, humor, and appealing insight, Janice's journey will empower readers to think positively and start living their own best year ever. Janice Kaplan has enjoyed wide success as a magazine editor, television producer, writer, and journalist. The former Editor-in-Chief of Parade magazine, she is the author or coauthor of twelve books, including the New York Times bestseller I'll See You Again. She lives in New York City and Kent, Connecticut.